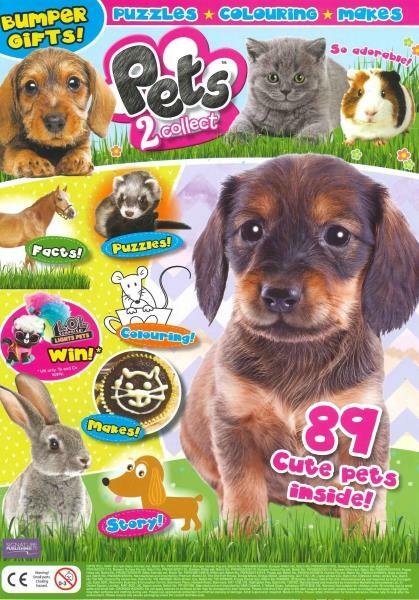 Pets 2 Collect is a pet-tastic monthly magazine perfect for all animal mad children. Featuring purr-fectly cute animals and family pets, each issue comes with a cute collectable animal gift. Buy a single copy or subscription of Pets 2 Collect magazine. The magazine is packed full of awesome activities and puzzles, cool competitions, pretty posters and fab free stickers. Each issue features animals of all shapes and sizes, from guinea pigs and chinchillas to dogs and ponies. Plus, there’s lots of educational information about pet care, tips and advice.